Best Tips to Make Arm Hair Less Noticeable. Arm hair removal and bleaching arm hair are the most common methods to make arm hair less noticeable. If it's bothering you, find out what you can do about the problem without using a razor. If you're wondering what to do with arm hair, check out the best ways to go to make it less noticeable or simply get rid of it completely. Bleaching arm hair is the most often used method. Methods range from special products aimed to protect your skin to hydrogen peroxide and natural solutions like fresh lemon juice and papaya pulp. If you don't want any of the mess that comes with preparing your own solution, try the Sally Hansen Cream Hair Bleach, especially formulated for use on your arms and legs. This gentle bleaching arm hair system can be the right choice when you're wondering how to make arm hair lighter. It also includes baking soda to absorb any odors and aloe vera for a smooth soft skin. Arm hair removal is not always the right option, but it's the easiest way to thin out arm hair. Using depilatory creams is best. Unlike a razor, which leaves sharp tips on every hair, the depilatory cream simply dissolves it, making it grow softer and even thinner. You can get the best results by using a hair-inhibiting product right after depilation. 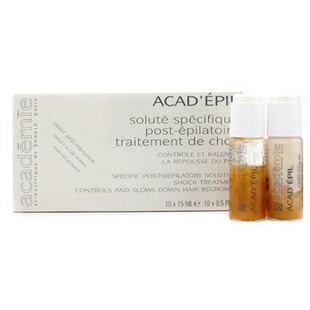 Try the Academie Acad'Epil Specific Post-Depilatory Solution Shock Treatment. It helps control and slow down hair re-growth, so you don't have to worry what to do with arm hair anymore. Use it right after depilation and for 2 or 3 days following it for best results. Waxing is the most common way to remove arm hair, but an increasingly popular system is sugaring (sugar waxing). You can make your own sugar mixture at home and this process of arm hair removal is considered less painful than waxing by many women who've tried it. For the best sugaring mixture, use 2 cups of granulated sugar along with one quarter cup water and one quarter cup freshly squeezed lemon juice. Mix it up and pour it in a saucepan on the stove. Use a cooking thermometer and remove it from the heat when it gets to 250 F (120 C). After pouring it in a jar and letting it cool for a few minutes, spread it on your arm using a spatula or dull knife. Apply cotton strips (which can even be made from old t-shirts), press them down then pull them up. Sugaring will help you remove unwanted hair from your arms with a fraction of the cost of a salon.